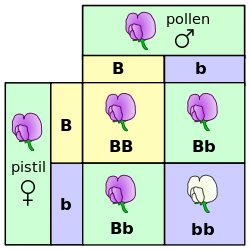 Here the relation between genotype and phenotype is illustrated, using a Punnett square, for the character of petal color in pea plants. The letters B and b represent genes for color and the pictures show the resultant flowers. A phenotype (from Greek phainein, meaning "to show", and typos, meaning "type") is the composite of an organism's observable characteristics or traits, such as its morphology, development, biochemical or physiological properties, behavior, and products of behavior (such as a bird's nest). A phenotype results from the expression of an organism's genetic code, its genotype, as well as the influence of environmental factors and the interactions between the two. 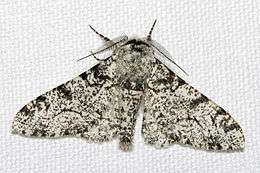 When two or more clearly different phenotypes exist in the same population of a species, the species is called polymorphic. Richard Dawkins in 1978 and then again in his 1982 book The Extended Phenotype suggested that bird nests and other built structures such as caddis fly larvae cases and beaver dams can be considered as "extended phenotypes". Despite its seemingly straightforward definition, the concept of the phenotype has hidden subtleties. It may seem that anything dependent on them genotype is a phenotype, including molecules such as RNA and proteins. Most molecules and structures coded by the genetic material are not visible in the appearance of an organism, yet they are observable (for example by Western blotting) and are thus part of the phenotype. Human blood groups are an example. It may also seem that this goes beyond the original intentions of the concept with its focus on the (living) organism in itself, meaning that the lowest level of biological organization compatible with the phenotype concept is at the cellular level. Either way, the term phenotype includes traits or characteristics that can be made visible by some technical procedure. A notable extension to this idea is the presence of "organic molecules" or metabolites that are generated by organisms from chemical reactions of enzymes, e.g. vitamins, that can be scored as phenotype. Another extension adds behavior to the phenotype, since behaviors are also observable characteristics. Indeed, there is research into the clinical relevance of behavioral phenotypes as they pertain to a range of syndromes. The term "phenotype" has sometimes been incorrectly used as a shorthand for phenotypic difference from wild type, bringing the absurd statement that a mutation has no phenotype. The idea of the phenotype has been generalized by Richard Dawkins in The Extended Phenotype to mean all the effects a gene has on the outside world that may influence its chances of being replicated. 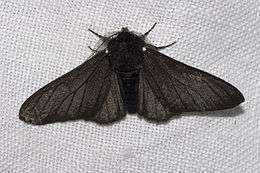 These can be effects on the organism in which the gene resides, the environment, or other organisms. The term "extended phenotype" was first coined in 1978. For instance, a beaver dam might be considered a phenotype of beaver genes, the same way beavers' powerful incisor teeth are phenotype expressions of their genes. Dawkins also cites the effect of an organism on the behavior of another organism (such as the devoted nurturing of a cuckoo by a parent of a different species) as an example of the extended phenotype as well as parasites living inside the body of a host. The first example he used was sporocysts of flukes of the genus Leucochloridium that invade the tentacles of snails where they can be seen conspicuously pulsating through the snail's skin. This change in both color and behavior (infected snails move upwards on vegetation) is suggested to increase predation on the snail by birds and therefore to assist the parasite enter its final host, a bird. The third example of the extended phenotype is "Action at a Distance". This is where genes in one organism affect the behavior of another organism. The examples Dawkins used were genes in orchids affecting orchid bee behavior (to increase pollination), genes in rattlesnakes causing avoidance behavior in other animals, and genes in male peacocks affecting copulatory decisions of peahens. 1 2 Dawkins, Richard (12 January 1978). "Replicator Selection and the Extended Phenotype3". Ethology. 47 (1 January–December 1978): 61–76. doi:10.1111/j.1439-0310.1978.tb01823.x. ↑ O'Brien, Gregory; Yule, William, eds. (1995). Behavioural Phenotype. Clinics in Developmental Medicine No.138. London: Mac Keith Press. ISBN 1-898683-06-9. ↑ O'Brien, Gregory, ed. (2002). Behavioural Phenotypes in Clinical Practice. London: Mac Keith Press. ISBN 1-898683-27-1. Retrieved 27 September 2010. ↑ Lewontin, R. C. (November 1970). "The Units of Selection" (PDF). Annual Review of Ecology and Systematics. Palo Alto, CA: Annual Reviews. 1: 1–18. doi:10.1146/annurev.es.01.110170.000245. ISSN 1545-2069. JSTOR 2096764. ↑ Mahner, M. & Kary, M. (1997). "What exactly are genomes, genotypes and phenotypes? And what about phenomes?". Journal of Theoretical Biology. 186: 55–63. doi:10.1006/jtbi.1996.0335. ↑ Varki, A; Wills, C; Perlmutter, D; Woodruff, D; Gage, F; Moore, J; Semendeferi, K; Bernirschke, K; Katzman, R; et al. (1998). "Great Ape Phenome Project?". Science. 282 (5387): 239–240. Bibcode:1998Sci...282..239V. doi:10.1126/science.282.5387.239d. PMID 9841385.